I had fun doing this one. I think I might do more pen drawings like it. 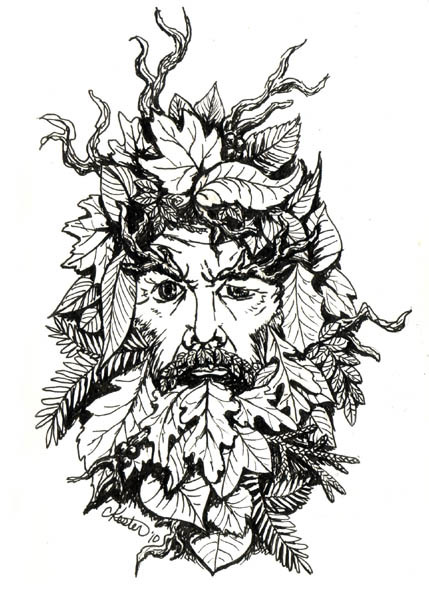 Here’s my Green Man. It is roughly 5×7 inches, ink on paper. 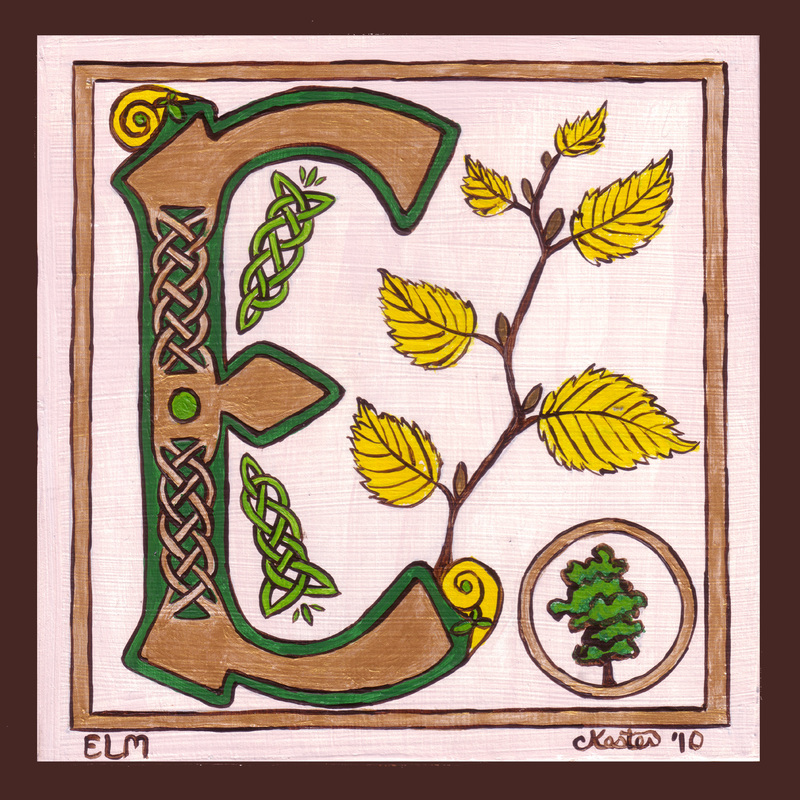 Here’s the letter E all painted and pretty. I’m hoping to have some time to paint F this week. Now that I’ve had some time to adjust to my new job I think I can sneak some time in to paint.